The lingo of UK casinos is rapidly changes and sometimes it’s hard to keep and understand what’s what. The reason for these changes is the updated code of UK Gambling Commission for socially responsible advertising. I doubt many will read all the 13 pages of it, but the bottom line is that “advertisements must be legal and not misleading”. Obviously, calling 100% deposit bonus with 25 spins a “Free Spins bonus” is in fact misleading. So now instead of free spins, we have Extra Spins bonuses, Bonus Spins and of course, the Free Spins bonuses. In the long run, it’s beneficial and will force operators to clearly state what they are offering. However, in the short run, things got complicated since different casinos use different terms and we must understand the meaning of each one. So here is a short explanation of each bonus option and of course a list of best extra spins bonus codes. Short description: spins given upon deposit. *Both terms are currently used interchangeably, but we assume that in the next update bonus spins will be determined as misleading as well, so from now on we will refer to them as Extra Spins. There are two types of Extra spins bonuses: ones that come with wagering requirements while the others free of wagering. In SpinIT casino you will get 100% match bonus on your first deposit accompanied by 200 Extra spins (they still call them Free, but it will change soon). Now, in order to become eligible to withdraw your winnings you must wager the 100% bonus you received PLUS your winnings from the extra spins. Let’s say you deposited ‎£50 and received another ‎£50. You will need to wager ‎£50 x40, ‎£2000 in total. Now, you also have the spins. Let’s say that during the spins you won ‎£100. You will need to wager those winnings 40 times as well. In this case it means ‎£4,000 in bets. Doesn’t sound too much fun, does it? In Guts casino you can get ‎100% up to ‎£100 bonus + 25 spins. On the contrary to SpinIT, here you need to wager just the match bonus, while the spins winnings are free. You deposited ‎£50, got ‎£50 and lets say you won ‎£100 on the spins. Here you will need to wager ‎£50 match 35 times, which means ‎£1750 in total. That’s it. 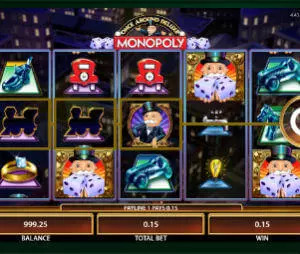 The amount you won on the extra spins is free and will actually help you to complete the wagering requirements. See the difference? Obviously, Guts promo is much superior to SpinIT one and gives you much higher winning odds. Of course, these are the only codes we will post on this page. So what are Free Spins? It might take a few months but in general the term Free Spins will be applied only to the ones that doesn’t require any deposit to be made. Naturally, all the no deposit bonuses will come with wagering requirements attached and in 99.9% of the cases have maximum withdrawal limits (casinos are not philanthropic institutes yet). At Slots Heaven casino, you will get 20 Free Spins upon signup. Those come with x20 wagering requirements. You sign up, play the spins and win £100, now you will need to wager £2,000 to make a withdrawal. The withdrawal amount is limited to £100. The bottom line is that things need to get complicated before they get better, so you must stay on top of things and pay attention to the terms and conditions. In general, you should use either Free Spins promos or Extra Spins bonuses with no wagering requirements.